In less than 24 hours from when I’m writing this my life will begin yet another new chapter. It’s funny and alarming at the same time just how much life can change within seconds, hours, days, and months. 2016 was a highlight year for me. I took control of my health and became the healthiest I’d ever been in my life. As a result of the work and effort I put in over the course of those twelve months I was a winner in the 1st Phorm Transphormation Challenge. I loved the hours, days, and months of 2016. At the beginning of 2017, I chose three words that I was going to focus on and have as my theme. I had no idea that those three words; grit, execute and disrupt would be so appropriate and prophetic. The calendar changed and little did I know that I was headed into one of the most challenging years of my life. In the spring of 2017, I accepted a position with a new company. This required me and most of my family to move to Myrtle Beach, SC. I say most of my family because we left behind one of our sons and our daughter, her husband and our grandkids in St. Louis, MO. We had spent almost 5 years in St. Louis and had just started to put down some roots and then seemingly overnight, the roots were being ripped up. Next came a number of health challenges in 2017. Earlier in the year, I had an operation to try and repair tendinitis in my elbow but it was unsuccessful. At the same time, I developed significant plantar fasciitis in my foot. Both of these injuries kept me out of the gym and sidelined me from working out for several months. I had been accustomed to being in the gym 5-6 times per week and with that being gone I was not only feeling the physical impact but the mental as well. 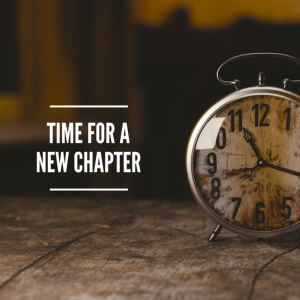 On top of a significant geographic move, leaving family, and dealing with physical setbacks I was learning a new job with a new company in a completely new industry. The stress of all of these things didn’t help with my health, physically or mentally. Over the course of the year, I fought depression. And if you know my story from the past few years you know that exercise has been my anti-depressant. So, with my injuries and not being able to exercise I was experiencing some dark times. I didn’t love the hours, days, and months of 2017 too much. BUT here’s what I’m grateful for and learned as I look back over the past 12 months. I’m grateful for a family who didn’t hold anything against for making the decision to take a chance and start a new job that moved us across the country. They loved me and supported me through it all. I’m grateful for a company that took a risk on hiring someone from outside their industry. They had faith in me and gave me the opportunity to do things I’d never done before. I’m grateful for meeting new people and forming new friendships. I’m grateful I’ve had the opportunity to live in a beautiful part of the country. I’m grateful for the good, bad, stressful, and everything in between experiences. I learned that I need to reach out to others in the hard and dark times for help and encouragement. There’s a lot I can carry myself but I can’t do life alone. Having people I can call, text or email and lean on is priceless. I learned what it meant to have true grit. I learned that even when you think you’ve made the wrong decision, it may be the right decision but disguised as a wrong one at the moment. I learned that I still need to learn how to effectively deal with regret, stress and the relationship those things have with the food I put in my mouth. I learned that there is a time and season for everything. So, here I am at 10:10 PM on February 1st, 2018. I’m thinking about the four (not three as in years past) words I chose for this year; renew, relentless, resilience, and victory. I believe those will define a lot of things over the next 11 months. Now, onto the next new chapter. On Monday, February 5th I’ll be starting a new job with an old company. I’ll be returning to Kerusso, where I spent over 8 years leading their marketing efforts. I’ll be rejoining an amazing team of people who are doing some incredible work. This will also allow me to work from home once again and put us in position to move back to North Carolina which has been a desire and goal of ours for several years. Like I said, it’s funny and alarming what can happen within twelve months. I know I take time for granted way too much. But the fact is, it does move fast and we need to cherish it and soak it in. I’m optimistic that I’ll enjoy the days, hours and months of 2018.